Shopping for Minecraft Prop Replicas? Can you see the light? 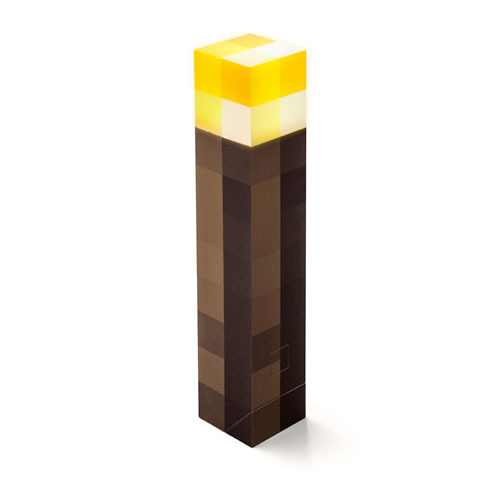 From the hit game Minecraft comes the Minecraft Light-Up Torch. This officially licensed Minecraft Light-Up Torch can light up your way. The torch is made of ABS Plastic and measures about 11-inches tall x 2 1/4-inches wide x 2 1/4-inches long. Requires 3x "AAA" batteries, not included. Ages 12 and up.